This article is about the TCG Structure Deck. For the OCG Structure Deck, see Structure Deck R: Undead World. Structure Deck: Zombie Horde is a Structure Deck in the Yu-Gi-Oh! Trading Card Game (TCG). It is the 43rd Deck in the TCG's Structure Deck series, following Structure Deck: Powercode Link. 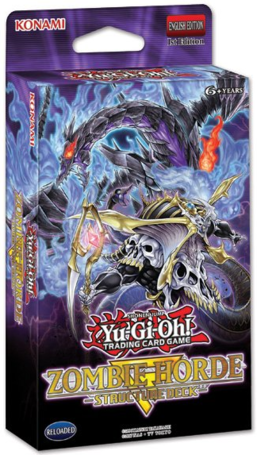 This Deck is the TCG equivalent of Structure Deck R: Undead World in the OCG.